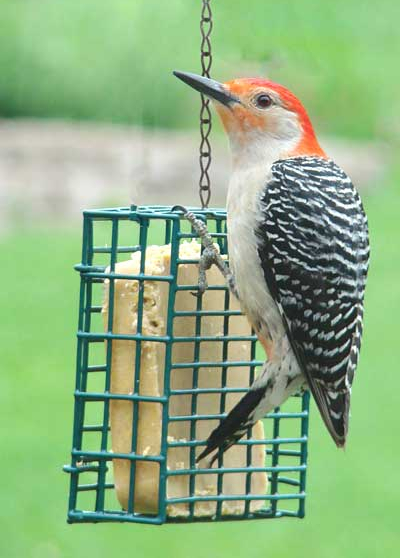 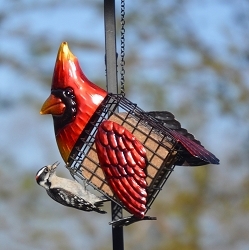 Attract suet loving birds to your yard! 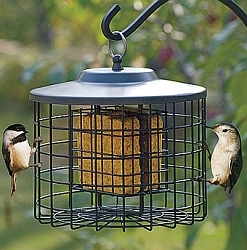 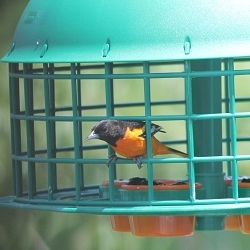 Add a new feeding station to your yard with the Audubon Single Suet Cake Feeder. 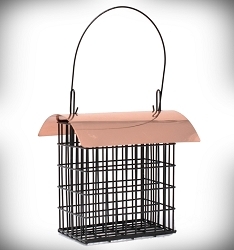 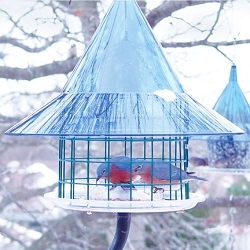 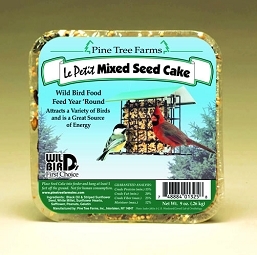 This square cage suet feeder is just the right size for any bird sanctuary. 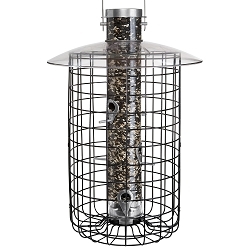 The basket accommodates one standard suet or seed cake, or can also hold nesting material for a versatile unit. 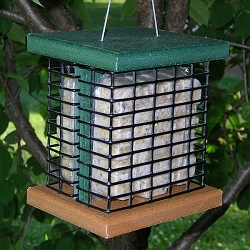 The front panel flips open for easy refilling, and the 1" x 0.5" rectangular grid allows birds several places to reach the suet. 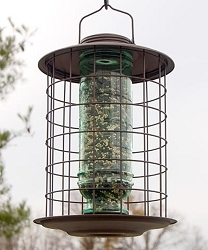 The compact size of this item enables several to be hung throughout the yard, preventing competition from more aggressive birds. 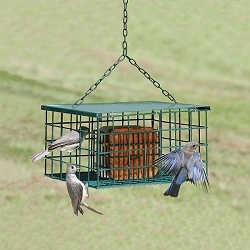 Use the included chain to hang this feeder from a hook or bracket. 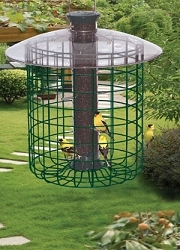 The metal construction and green colored finish keep the unit functional for several seasons. 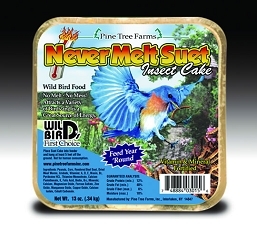 Feed birds their favorite suet in this Single Suet Cake Feeder.